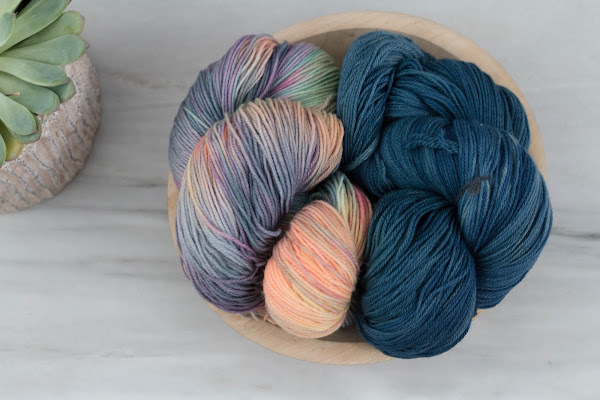 Still valid is my goal of being mindful about stash enhancements. I am not one to get stressed about any upcoming show update. I don't have to knit with the hottest yarn in the market. But, if a skein strikes my fancy, I will let it come home without guilt. 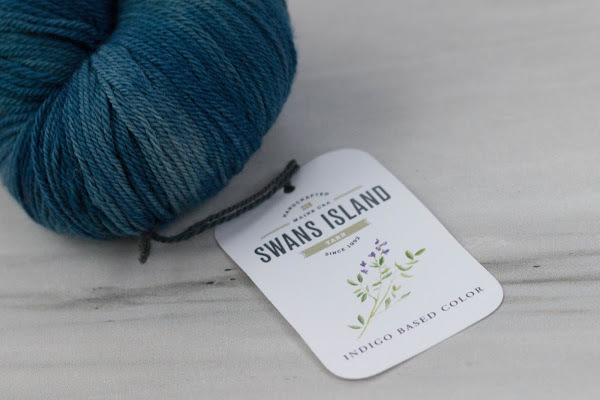 I am enamored with this Swans Island yarn. Check out their beautiful website: here. The second skein screams "tropical spring" to me. It is from Three Irish Girls. 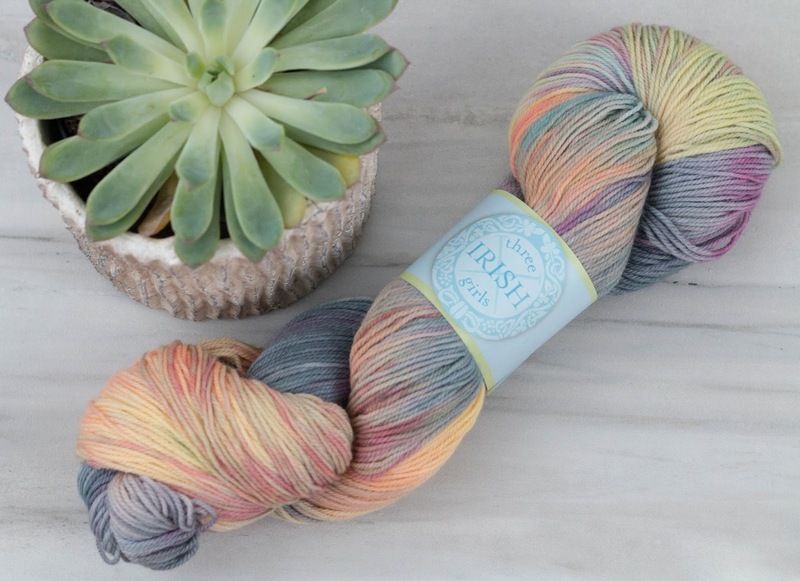 Don't you think the yarns go along well? I need pattern ideas. Suggestions are very welcomed. For a very practical discussion about stash enhancement, I recommend watching episode three of the "Hand Me My Knitting" podcast around the 22:41 time mark. Link here. 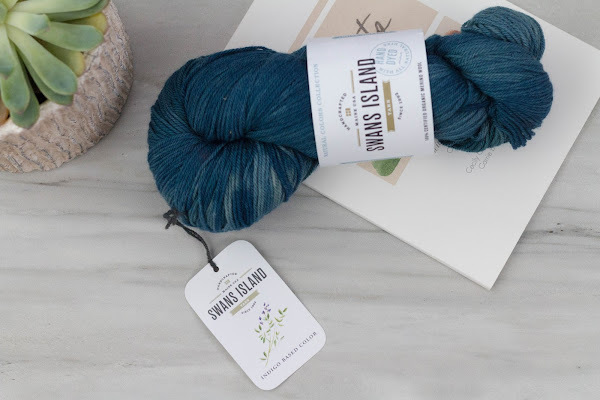 That Wendy Darling yarn is just beautiful. I'm not surprised it came home with you. So pretty...I can hardly wait to see what you do with them.